Sustained wind and rough sea for the twelfth edition of the S.Pellegrino Cooking Cup, the combine kitchen-sailing organized by the Compagnia della Vela of Venice and S.Pellegrino, won this year from the Australia boat, skippered by Paul Cerni, assisted by Richard Ousby, a young emerging chef that S.Pellegrino found out in the kangaroos’ land. 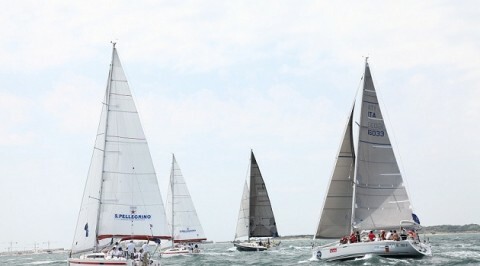 Thirty-three boats at the start with two fleets of monotypes: on one hand, the Salona 38 carrying the representatives of the various markets of SanPellegrino and young chefs of the world, on the other the flaming Elan 210 reserved for the members of the Society of Sailing . 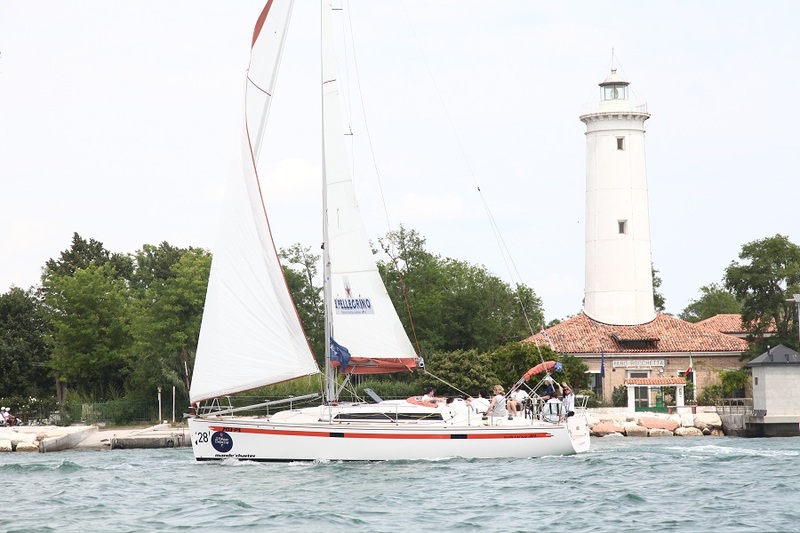 Borino wind at the start of the regatta, that grew up to become a real “neverino” that swept the lagoon preventing all chefs to deliver on Timoteo boat, kindly provided by Vittorio Missoni, the culinary creations. The jury, chaired by Francesca Barberini, popular face of the Gambero Rosso Channel, which also counted on Massimo Bottura, owner of the Osteria Francescana judged the 5th place among the best restaurants in the world in 2011, and on the Argentine Mauro Colagreco of Mirazur from Mentone, had its hard work to judge the dishes between the sea and the wharf. The important result is, however, the combination between the sail know-how and the culinary one. The best dish prepared by a professional chef (winner of the S.Pellegrino trophy) was “Chard mackerel with garlic custard, split peas, onion and Roasted Rice” made by the Australian Richard Ousby. 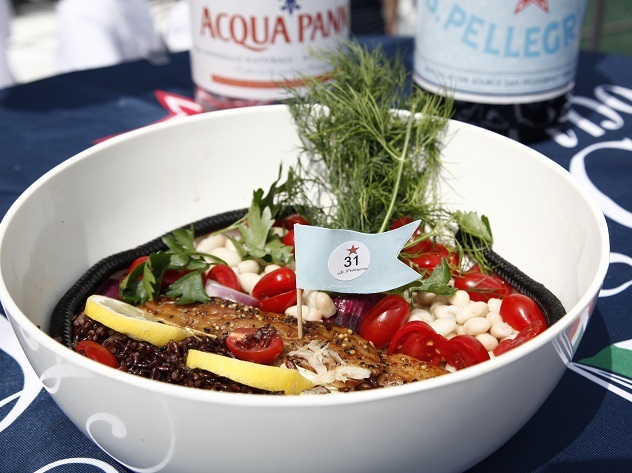 The Acqua Panna Trophy for the non-professional chef went to “Sardines in saor sauce with” “bisi” rice polenta” by Luca Nogara embarked on Spritznaker.